Let’s face it – winter months breed excitement through and through. The approaching holidays, the memories to be created, the reunion of years past – and fresh citrus that come and go far too quickly if you ask us. Specifically, we are talking about the sweet aroma filled – juice dripping down your chin – kind of freshly peeled or squeezed oranges. Oranges are the most common entity out of all citrus – and we can’t counterpoint. Some of us have years under our belts of our grandparents telling us stories of The Great Depression, and the appreciation they have for the smallest of details today because of the lack thereof that time. During those times, one of the greatest treats one could receive was an orange in their stocking at Christmas! It was a treat for so many people, from children to adults who looked forward to this all year long: not candy, not toys – a fresh juicy orange, all to themselves. This was especially relevant in the majority of the states other than California and Florida, as the ability to get access to this coveted, sweet fruit during the dead of winter was rare. This special mentality is the same type of integrity filled approach we take on when finding the best oranges for our customers. Many varieties of orange trees stem back formally in India and surrounding regions. Oranges were seen around this time as a coveted fruit, and commonly consumed and sought by royals. The best of the oranges were reserved for the wealthy, culturally centered from the Chinese, throughout decades in history. Eventually, oranges made their way to Europe through trading, leading to planted orchards ranging from North Africa to across the Mediterranean. The varieties of the oranges, of course, changed throughout history. At times, oranges, such as the Seville variety had thick skin, had more pectin, and were put to use from food to perfumes. It wasn’t until later around the 16th century that there began talk of sweet oranges, also known as the “Portugal Orange.” As oranges made their way to the United States, the orchards found themselves being rooted in Florida – which remains the second most productive area for growing oranges to date, worldwide! In 1909, the state flower of Florida was declared the orange blossom. Well played. Today’s orange is said to be a hybrid of two common citrus trees – the pomelo and the mandarin. 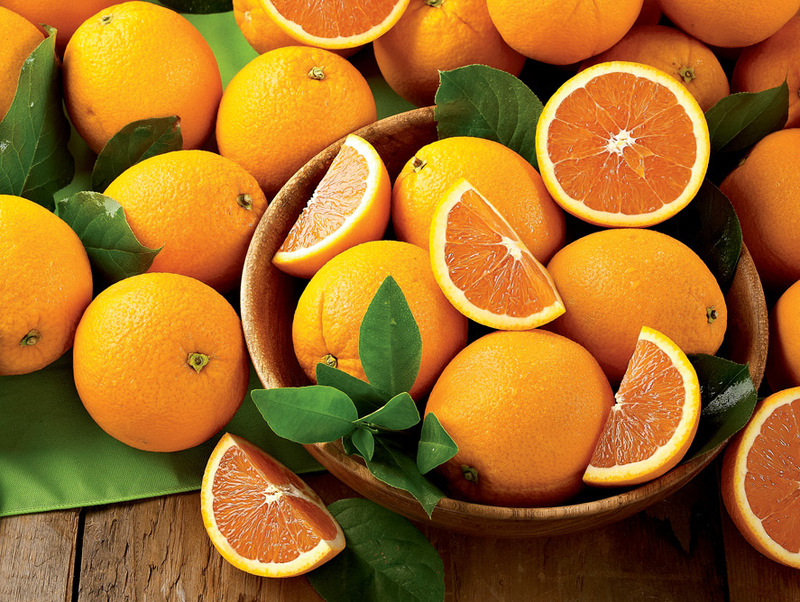 This somewhat complex fruit has branched out into many subtypes to name a few; Valencia Oranges, Navel Oranges, Clementine Oranges, Tangelo Oranges, Cara Cara Oranges, Blood Oranges, Bitter Oranges, Bergamot Oranges, Lima Oranges, and Heirloom Navel Oranges. Speaking of sweet oranges, this wouldn’t be a justified overview of oranges unless we dug further into one of our favorites – navel oranges. This sweet fruit is seedless and tastes unlike any other variety of oranges. Roger that. There are said to be well over six hundred varieties of oranges. It should be mentioned many of these are varieties created by crossing and combination of genetics by farmers. These guys are referred to as originating from a “genetic mutation,” causing farmers to dig into the tricky but unique way of growing them. With a lot of time, effort and experimentation, navel oranges shot to the top of sales and have stayed there. This is a good lesson for us all. Since the exact origination of how these navel oranges first developed has been challenging to pinpoint, we can only attribute this to some things in life we don’t have all the answers for. This is God’s green earth, and no matter how this genetic mutation originated, we’ll take it with no further questions asked since its one of the most popular varieties on the planet. The most common types of oranges that you see and consume are sweet oranges. These are no doubt packed with health. From 85 calories to no fat, to the massive Vitamin C antioxidants – it’s hard to counter this area of citrus. Evidence stands behind oranges and their effect on our overall health – everything from rheumatoid arthritis to ulcers, heart health – and even overall skin health. Shockingly enough, orange wasn’t the original color of the fruit. The name of the fruit derived from the Arabic word, “naranj” or “narange” and eventually just became, “orange” in the time frame around 1542. Feel free to store your oranges however you prefer them when you eat them – either in the refrigerator or just out on the counter at average room temperature. The time frame for good oranges is around the two-week mark; it’s just important to watch for mold based on how you store them. Keep them dry! No matter the complicated history of the how, who, when, and where of this fruit – we are sure thankful they have sustained all they have in all their varieties, and in all their glory. We couldn’t be more proud to help source the best of the best when it comes to these sparks of color to our customers.